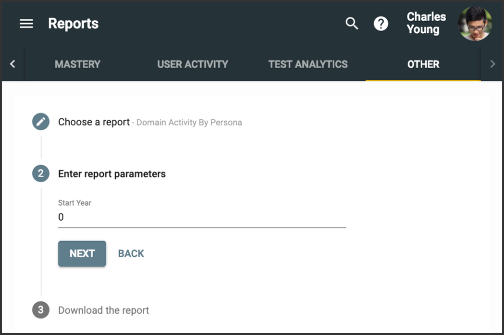 The Other tab in the Reports tool allows you to access and run reports that are specific to your domain and go beyond the default reports in Buzz. Open the Report to run dropdown, select the report you want, and click Next. Notice that Buzz provides the Scope (course or domain) of the chosen report as well as a brief Description of the data it returns. 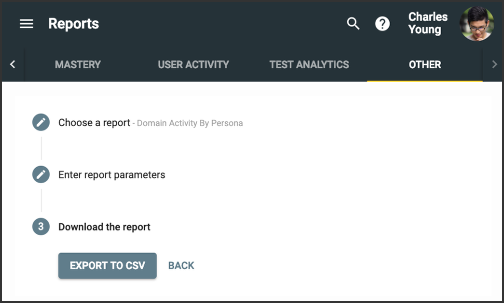 Enter report parameters; the required parameters (e.g., domain, date range, course ID) vary by report. 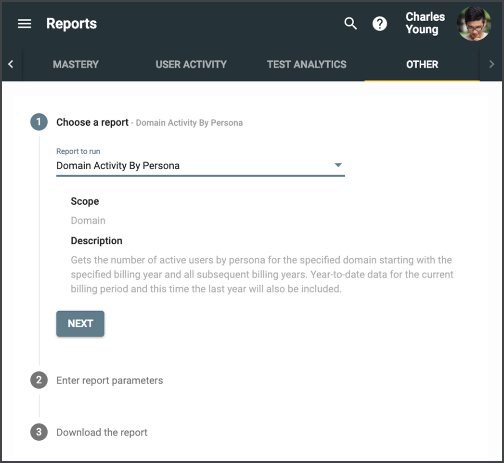 Some reports may require you to pick a domain or course before entering the parameters. Click Export CSV to return your results as comma-separated values (CSV) in a spreadsheet. Could you expound what you are expecting to see in the reports as "reported"? We currently provide exports within the Admin / Teacher App and through the Gradebook. Through the gradebook export scores function is an option for "reported" that you can include in the export. By "reported" I mean grades as adjusted by teachers before they submit. I know individual teachers can include this in exports. But I am looking for an admin-level export that includes these adjusted grades. To date I can only find a way to export calculated grades, which don't show any adjustments teachers make. An example would be if a teacher "curves" final grades in a course prior to submitting. I've been unable to find a way to export those administratively. This would make integration with our SIS much simpler!